This article is authored by MOI Global instructor Elliot Turner, managing director of RGA Investment Advisors, based in Stamford, Connecticut and Great Neck, New York. Elliot participated in Ideaweek St. Moritz 2019. Ideaweek easily holds up as one of the most intellectually invigorating experiences of my life. The true hallmark of such an experience is that it inspires deep thought, raises important questions worth analyzing in more detail and leads to meaningful friendships born on mutual interest and an insatiable desire for self-improvement. The balance between structured and unstructured time, mental and physical exercise helped engage all senses and left ample time to push our boundaries while affording us opportunity for the learnings to marinate. John deserves immense credit for his attention to detail and flawless execution. Most importantly though, it takes a special person to bring together such diverse, interesting, and unique people — this is truly a reflection of John, and the participants were a key ingredient in making the experience special. Participants came from around the world, so geographic diversity was but one element. We had traditional value investors, quality investors, those with global mandates, emerging market managers, country-specific managers, family office managers, emerging managers and experienced managers alike, entrepreneurs, founders and operators all united in the goal of self-actualization. Investing is really hard. It’s hard not to dwell on that sitting in a room with brainpower that rivals a well-positioned datacenter. Worse yet, we’re inherently climbing uphill against behavioral limitations and base rates which suggest failure is far more common than we like to believe as investment managers. How should we think about position management? Is the use of “turnover” in describing my own strategy descriptive or prescriptive? The goal is to be descriptive, but can one behaviorally separate the communication of a target from it becoming an actuality? The perspective of Europeans on this moment in history between Brexit, the EU crisis, the yellow vests and the rise of nationalism alongside our place as Americans in this big mess. This is something I have largely been lacking from my seat in the US. Is “technology” an appropriate label for a sector or a business? Have we reached a place in the Internet’s history where we can isolate the business as separate and apart from “technology” or is there a chronically volatile landscape that we should fear amidst rapid change? How to be a better parent. “Your kid is not your ego.” Look for latent tendencies and observe what inspires your child(ren). Talk to your kids as adults. How to learn and the meaning of life — in an engaging conversation on the Art of Learning we started with how a chess master was able to “hack” the learning curve and become a Tai Chi master. We moved to a somewhat open-ended exploration on the meaning and origin of life and the role of spirituality. How do you start small and build a great investment firm? What are some best practices? What kinds of communications resonate with the right target audience(s)? How do you institutionalize a decision-making process that takes opinions from a handful or more people, makes the best decisions possible, while also letting everyone involved feel like a stakeholder? These are more high-level, but the specific conversations were also phenomenal. There were so many investment ideas exchanged along the way. I refined my own storytelling on some of my favorite positions and was able to obtain great feedback in deficiencies in my own communication and storytelling individually, as a firm and on specific investment ideas. A handful of us shared an affinity for food delivery business models and it was neat to hear from those with a more global perspective on the similarities (and differences) in delivery across borders. Banks and payments were a common topic (I’m guilty for pushing PYPL into the conversation more than once) with some skepticism about the European bank business model in light of PSD2 and the emergence of capital lean customer acquisition-driven banks. It was great to hear perspectives from some sharp European investors on one of my positions that gets next to no coverage in the States, despite having several prominent product lines here. It may be confirmation bias at work, but it’s helpful to hear my thoughts on the founding family, culture and strategy affirmed from those with a closer nexus to that side of the company. For my structured talk, I spoke about position management. I was a little nervous picking this topic, because it’s something I think about a lot though hardly see any literature on. I spoke about how I never buy my full position right away and take at least a quarter to round out to target size. I find considerable benefit from this “imposed patience,” because in the transition from observer to owner you take what’s a backward looking narrative and start watching the world in a hypothesis–>test mode. In doing so, you can strip away some of the biases and perhaps even glean insight into key inflection points on your thesis along the way. It was amazing to see how much the topic resonated with so many in the room. The talk turned into a moderated discussion with outstanding contributions from the field and a fascinating book recommendation called The Art of Execution. As an avid reader, I am embarrassed to admit that I didn’t know this book existed, alas I am lucky to now have it high up on my reading list. Position management became a topic that just about everyone spoke about in more than one context for the remainder of the trip. The pent-up interest in the topic makes me wonder what other topics we all as investors think about, though don’t speak much about. Perhaps something like “scuttlebutt techniques” fits the bill? One hypothetical I brought up several times is, “let’s say you have a company with 75% gross margins, 30% operating margins, 15% annualized growth for five years and 100%+ ROICs with little opportunity to incrementally invest capital in the business. What multiple would you pay?” There are two companies I had in mind in introducing this exercise, though I left that aside — reality is slightly messier than the specifics, though it’s a close approximation. The answers (or rather the questions back at me) were insightful, including the layers of new information people needed especially with respect to management, its capital allocation philosophy and the nature of the industry (i.e., is it fragmented or concentrated, what’s the relationship with suppliers like, etc). This led to fascinating conversations on what some people see as the best, most durable businesses out there and what kinds of industries present the best risk / reward opportunities. Before I left for the trip, I saw a quick tweet (that I since cannot find) suggesting (and I paraphrase): “the chair lift on a ski mountain is perhaps the last remaining domain for serendipitous conversations.” How timely and true. Some of my most interesting conversations happened while we were heading from the bottom, to the top. In that context, one can really add color to some of the thoughts that emerged in our structured conversations at the bottom of the mountain. It’s hard not to be open-minded in that environment. Plus, when you shift to unstructured time with interesting, worldly people, you connect on a different level than post-lecture cocktail hours afford. The adventures on the slopes forge a bond that cuts deeper than shared time and space in a conference room. On a related note, this was my first time skiing in thirteen years. Growing up, I never imagined I would take one-third of my life away from what had truly been a passion. It all started with some numbness in my hands and a doctor saying “you have syringo.” Sorry doc, “I have what?!?!? Can you please tell me in English?” Fortunately, with hindsight, I now know this cyst on my spine is under control and not something that needs to be front of mind. The initial price to pay during the monitoring and evaluation period was a high degree of caution during which I was told not to ski and limit physical activities. This resulted in weight gain that made other back problems worse and an even longer hiatus from skiing. I’ve come a long way since then and felt a freedom and vivaciousness on the mountain that was made even better being surrounded by such great people. I am grateful to John for putting together such a wonderful group, fantastic week and most of all, for inviting me to be a part of it. One regret is that I took far fewer pictures than expected. This was largely a function of immersing so fully in the outstanding conversations, but I wish I took more snapshots with my new friends, in the majestic setting along the way. One thing I do not regret is having promised my wife I would wear a helmet for my grand return to the slopes. The chair lifts are not made for tall people and I got whacked in the head a few times. More importantly, on the first day, walking back to the hotel while talking about how smoothly the day went, I slipped on a patch of black ice while holding my skis and poles in hand. I landed flat on the back of my head and have a nice helmet dent/scratch to show for it, though I did not even feel the bump on my head itself. Talk about a great ROI! Mother Nature herself offered a rather fitting metaphor for the trip. On the train ride to St. Moritz from Zurich, the cloudy remnants of a three-day long snowstorm blanketed the horizon, hiding the gothic peaks of the alps on what is one of the only rail lines in the world recognized as a UNESCO World Heritage site. With the wonders of modern technology, a fellow traveler on this journey was able to track me down on the train after exchanging a few WhatsApp messages. We commenced a long conversation that persisted as the clouds slowly lifted off the mountains. On the last day, after a four-hour marathon conversation over breakfast, it was time to leave back for Zurich. Along the majestic railway, there was not a single cloud in the sky and every sun-soaked peak illuminated our voyage home. I was joined by John and my breakfast companion for the journey. 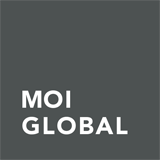 On the ride, we were all reflecting on how far MOI Global had come since we first joined over six years ago. What started as a newsletter has truly morphed into a community of outstanding members. The membership itself feels like Amazon Prime, whereby each year, the value members get rises considerably versus the year before — our membership benefits are indeed compounding.